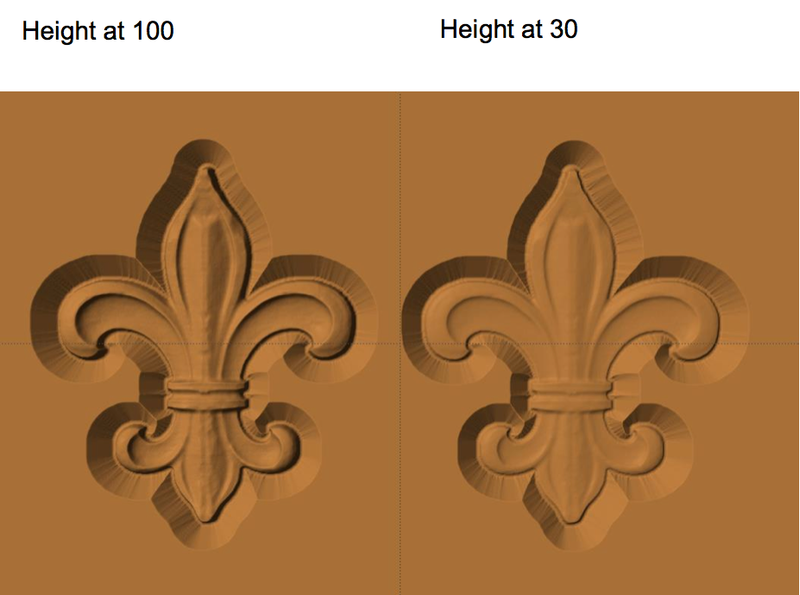 The adjustment of depth and height are essential tools for fine tuning your designs in Project Designer. These tools allow the creation of more intricate layering of patterns to create more visual interest in the design. 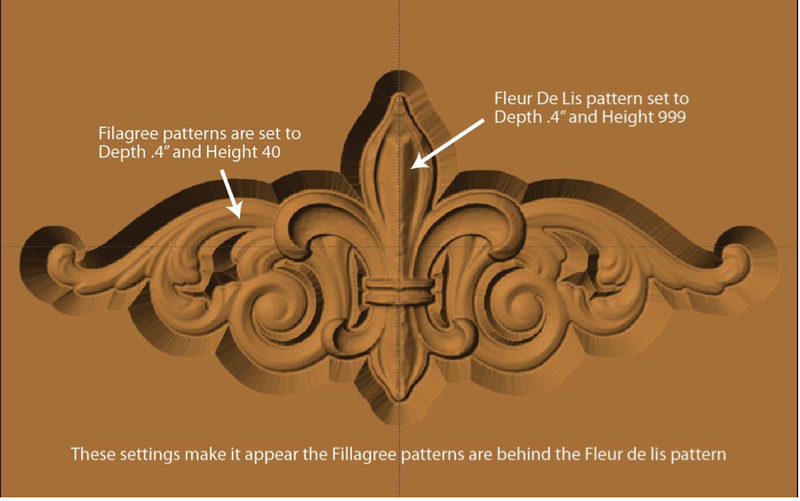 Depth is describing the lowest level, or the base, of the carving, pattern or element. 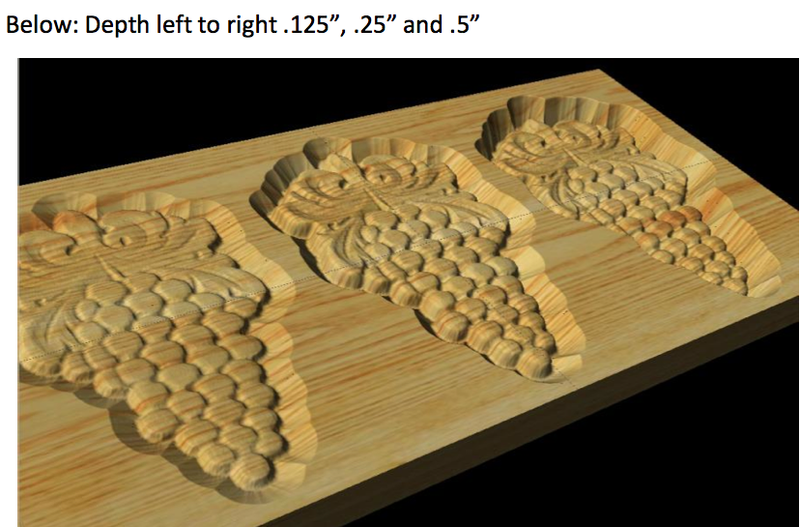 Most patterns, when placed on the board, are set to be at 1/4” deep. 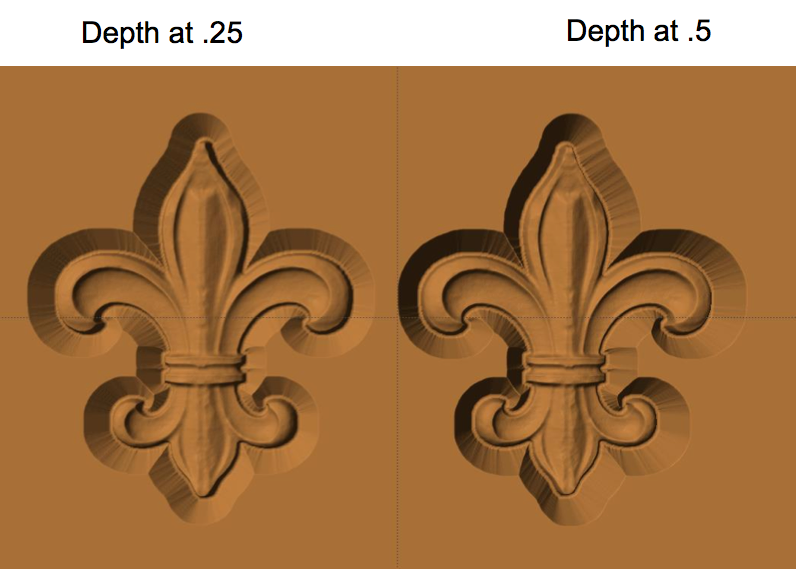 With the depth tool, this depth can be changed to whatever depth desired within the limits of the bit. This is a relative value of the height from the deepest part of the carving to the top of the board being used. It can be set from 0-999 with 999 being no material removed from the highest point of the element. It will default to 100, which is it’s original thickness. This basically means you can make a pattern taller or shallower within its set depth. The deeper the pattern is, the higher you can raise it since there is more distance to work with. Depth and height when used together can create the effect of elements appearing to be behind or above other elements.